Once referenced as "Maybe the best [horror story] in the English language" by American author Stephen King, Machen's novella, The Great God Pan (written in 1890, revised 1894) is a horror story classic. The story was also highly praised by H.P. Lovecraft. When published, the novella was denounced for both its style and content; deemed by critics as too decadent and sexual. Machen takes the title from an 1862 poem A Musical Instrument by Elizabeth Barrett Browning. The first line of every stanza in the poem ends: ". . . the great god Pan." 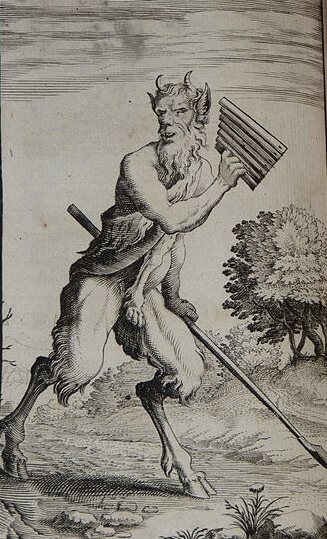 At the time of publication, Pan was popularly referenced in literature as a symbol of nature and paganism. In the story, Dr Raymond wishes to experience all that the world has to offer -- this is what he means by "seeing the great god Pan." After studying the human mind, he performs brain surgery on a young woman but the surgery goes awry. It's such a fantastic story that I wish to provide no other details lest I risk spoiling the story. The book is featured in our collection of Halloween Stories. Horror, gothic and supernatural fans will also be interested in reading Algernon Blackwood's gothic novella The Willows. Visit our Gothic Literature Study Guide for more on this genre. Return to the Arthur Machen library.